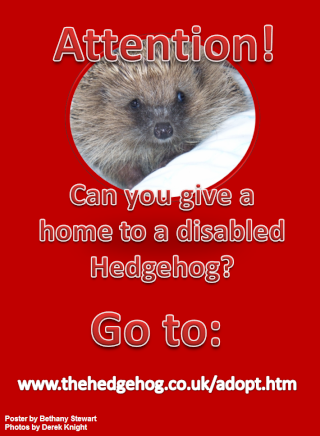 A campaign that will help people to realise that there are many disabled Hedgehog that need help- they could give a home. Here is the poster that goes with it. I will be putting it on my website soon.